What's the Investment to Stage Your Home? 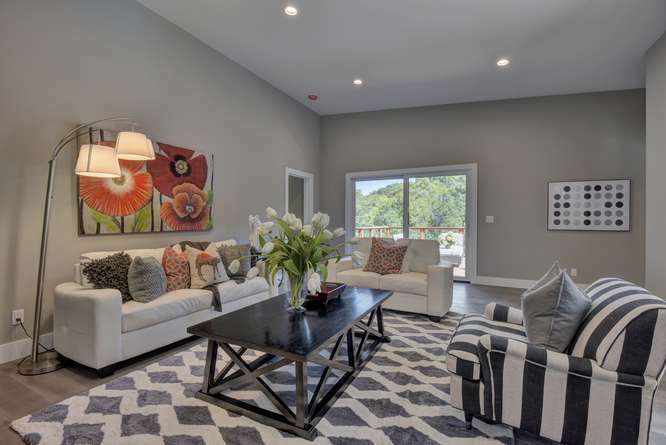 The process known as home staging has been in existence for roughly thirty years. In that time it has emerged as a powerful sales tool because it transforms a "nice" home into a remarkably desirable product. This is done through a variety of techniques. The costs associated with working with a professional home stager will vary widely and can begin as low as $150 for a consultation, and range well above $6000 for a massive undertaking. Stagers may charge by the hour, while others request a flat fee. The biggest factors affecting cost are the size and condition of the home as well as the geographical area in which it is located. 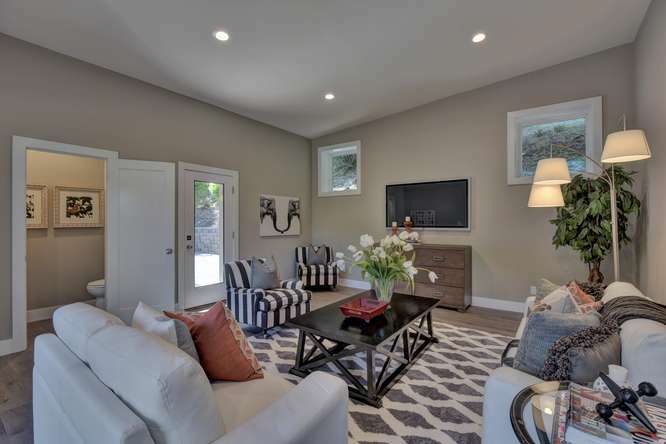 Homeowners on a budget may choose to pay for a consultation with a stager and then implement the suggestions themselves, or they may opt to hire the stager to transform only the main rooms. Some consumers wonder if the hassle of rearranging rooms, buying new accessories and furniture, and ensuring that the house is always ready to look like a designer showroom is worth it. 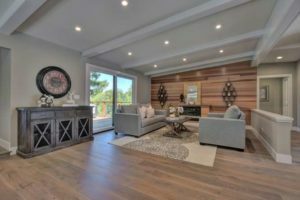 MortgageNewsDaily.com indicates that most homes that are professionally staged will end up bringing in approximately 3% more than the anticipated price. This means that a homeowner who dedicates $3,000 to a home staging project, and who sells their home for $500,000, will have earned $15,000 for their effort. Clearly, this indicates that such a project is well worth the staging fee. A preliminary consultation with the home stager is required before work can begin, and usually the professional will indicate the weakest areas of the home, or the items that need to be removed or relocated. Once de-cluttering, cleaning, minor repairs, and even repainting is done, the stager will begin their work. Bringing in a large number of "props" that enhance the overall "tone" of any space. This could mean adding plants, pillows, furniture, baskets, artwork, lighting fixtures, and much more. Some stagers require a contract in order to begin work, and others also request a retainer in order to begin acquiring supplies. Such requests are entirely reasonable and to be expected, and this is a great way to protect both parties in the event of any conflict or dispute. 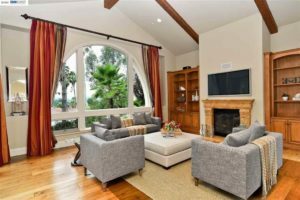 It is impossible to place a fixed amount on such work, but it is vitally important that the homeowner sit down with the stager to determine a budget well in advance. A time line for the work is necessary if many small projects must be completed in advance of the actual staging work. 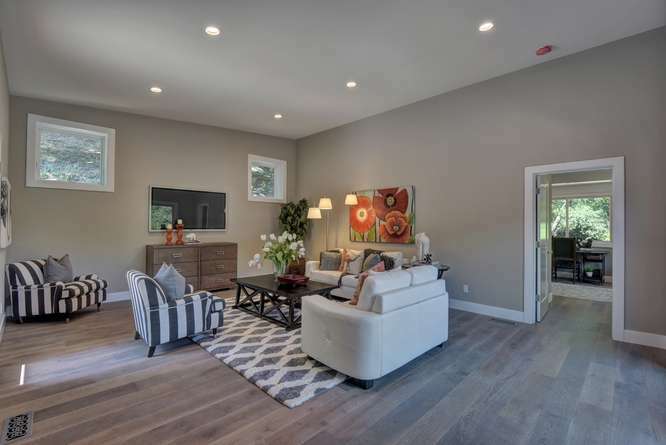 Generally, the average staging project occurs over the course of a few day's time, though it may have been in "planning" stages for a few weeks. It is a good idea to develop a plan of action in order to keep costs under control and the schedule on target. This is particularly true if the home is about to go on the market or be photographed for a real estate listing. If the stager needs the homeowner to work with subcontractors for the project, they, too, should agree to the established schedules to ensure they can meet the obligatory deadlines. In the case that the homeowner has already moved out of the home, it is possible to arrange a "vacant staging". The home stager rents furniture and accessories for a few months or as long as necessary, and the cost is typically around 1-2% of the list price to purchase these materials. Some stagers maintain their own inventory of furniture and accessories and may add a rental cost on top of their fee. to hire a home stager in my city? Cost to hire a home stager varies greatly by region (and even by zipcode). To get free estimates from local contractors, please indicate yours.